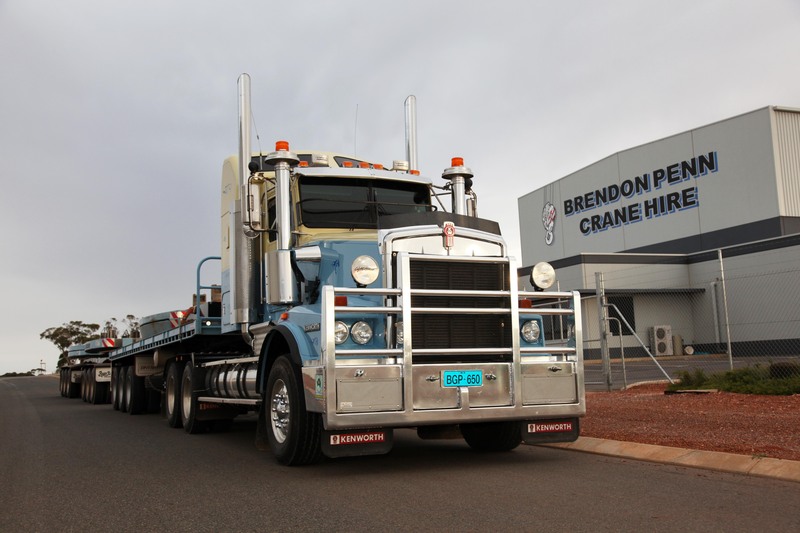 Travelling long distances is no problem for Kalgoorlie-based Brendon Penn Crane Hire, its mobile cranes and the company’s 2007 Kenworth T650. Brendon Penn has been operating his crane hire company for 23 years. Brendon Penn’s versatile second-hand Kenworth T650 prime mover is one of the two crane support trucks owned by his business Brendon Penn Crane Hire, with the other a Volvo 8x4 prime mover. While they both fill a variety of roles, their main job is to accompany the crane fleet when they head out, carrying the counterweights. Based in Kalgoorlie, Western Australia, Brendon is quick to point out that Brendon Penn Crane Hire isn’t a transport company, although their two trucks are a vital part of the operation. The Kenworth is a 2007 model featuring a Gen II Cummins Signature engine, an 18-speed gearbox, a six rod rear end and is rated at 130 tonne. It joined the company in a moment of luck for Brendon. While he couldn’t justify the purchase price of a new prime mover, his search for a good second-hand triple-rated prime mover was coming to nil. 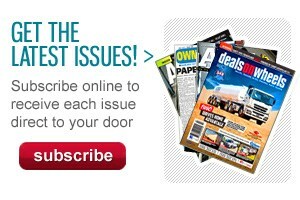 In fact, he was only a week away from ordering a brand-new Kenworth when he came across the T650. Brendon Penn's Kenworth T650 is one of the company's two support vehicles. "It was owned by Brad Mock from NSW," he recalls. "I don’t know what he has done to it but it goes really well." Brendon wanted a short wheelbase because some of the sites on which they operate are very compact and the Kenworth was a perfect fit. 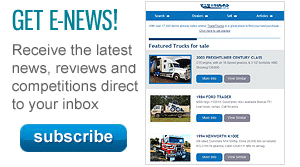 "We wanted a short wheelbase truck and the T650 has a short one, but is still a really comfortable truck to operate." When Brendon bought the T650, it was covered in a very smart silver and maroon coat but a storm damaged it. It now shows off the Brendon Penn Crane Hire fleet colours. "Presentation is a big thing for us," Brendon says. "The first impression is the lasting one and the Kenworth is a bit of a showpiece." "I have never bought anything second-hand – it is always new equipment – but the trucks don’t make any money for us hauling counter weights, so the T650 suited our needs perfectly." The fleet’s colours are very distinctive done in pastel blue and green beige. "We wanted something different and that’s our brand." Over the past 23 years, Brendon Penn Crane Hire has shifted between mine construction and maintenance work.